Take Bellvista Boulevard off Caloundra Road. Turn right at roundabout into Dumbarton Drive. Turn left into Balmoral Boulevard and then left into the off street parking in front of the hall. Hall entrance is facing corner of Ulm and Osprey Streets, Moffat Beach. •	Start at 6.30pm with Beginners lesson for 30-45 minutes. You don’t need your own partner as the teacher moves everyone around every couple of minutes so that you get lots of partners. •	An intermediate lesson (same format as the Beginners) for 30-45 minutes. WE ARE MOVING OUR VENUE COMMENCING MAY 2nd 2019. 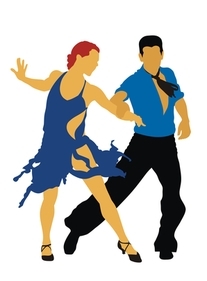 From May 2nd 2019 Erik will be teaching Modern Jive from the Bellvista Meeting Place at 18 Lomond Crescent, Caloundra West.